This Christmas, the National Trust at Nostell have invited local community groups, businesses and creative collaborators to bring a new kind of Christmas spirit to the 18th century treasure house. 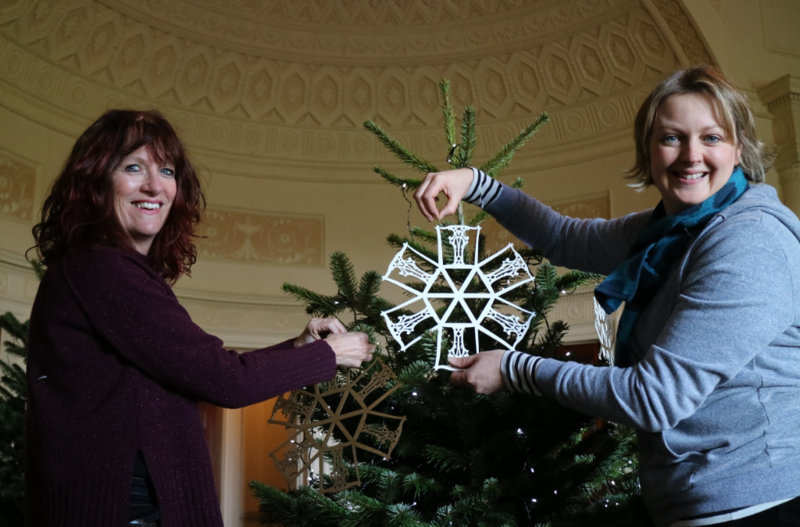 “We are creating a Forest of Christmas Trees in the Top Hall and have invited eleven different groups who support Nostell in one way or another to design and decorate their own tree in response to our world class furniture collections, architecture and beautiful parkland,” says Jenny Layfield, the general manager at Nostell. Dean Freeman, founder of Wakefield’s largest music and culture festival Long Division is one of the partners featuring at Nostell. “Our tree is inspired by our collaboration with the National Trust on the Nostell Nights events, helping bring new creative partners to the event and providing musical entertainment,” elaborates Dean. Nostell is also very excited to be working together with David Owens of Wakefield’s first ever gin brand, Nightingales. Four times a year Nightingales crafts a very special gin with an extra touch from the gardens. “Our tree takes inspiration from the plants and botanicals grown at Nostell which we have used to make our distinctive artisan gins this year,” says David. Nostell Nestlings, a group of under 5s who enjoy fortnightly stories, crafts and outdoor activities in the gardens have had fun creating Christmas decorations during their woodland sessions. The painted decorations have been inspired by their favourite books and stories. Another tree in the Top Hall has been decorated by Nostell Health Walk group. The weekly walkers enjoy a gentle stroll around the parkland led by experienced walk leaders. It is the changing seasons they observe during their walks that has been the inspiration for their Christmas tree decorations. Christmas at Nostell starts on Friday 7 December with a special Nostell Nights at Christmas event. The house is then open for the public to explore until Saturday 22 December, complete with hundreds of handmade decorations and a gingerbread village created by the volunteers. Visitors can listen out for a festive soundscape produced by Long Division, as well as enjoy the ongoing Thomas Chippendale: The Man and the Brand exhibition and full interiors designed by the ‘Shakespeare of furniture’ in the state apartments. 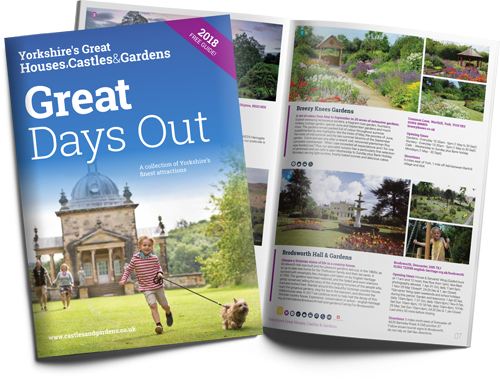 To get young elves out and about there is a garden chair trail, inspired by Thomas Chippendale and carved by Nostell’s ranger team in the garden.